PCH set up a booth during the Northrop Grumman Employee Appreciation Day. The event was a success with RC Cars and Trucks Displayed2 Flight Simulators for employess to try. RC Helicopters were also flown by our PCH Staff to demonstate how fun RC Flying is. Pacific Coast Hobbies (est. 2003). Established in 2003 with nothing more than a dream and a passion for RC Cars. 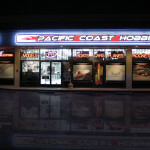 Pacific Coast Hobbies started with just two thousand square feet and a handful of spirited staff. 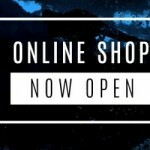 We now have doubled in size and carry a full line of hobby products from RC Cars, Trucks, Airplanes, Multirotors, Helicopters, Boats, to Scale Models, Trains, Slot Cars and much more.